A multifunction steam mop with hand-held and reach wand that uses steam and detergent to break down grease and grime faster than steam alone, and leave you home smelling fresh. If you want clean hard floors, sometimes a mop just isn’t enough. Vax Steam Cleaners combine hot steam and detergent to break down grease and grime faster than steam alone, leaving your home smelling clean and fresh. Designed to do the hard work for you, Vax steam cleaners are a great addition for the home. Why Use a Vax Steam Cleaner? A versatile home cleaning solution, Vax Steam Cleaners can be used as an upright steam mop to clean your sealed hard floors leaving surfaces dry in minutes. No dirty mop water and no grimy mop head, just easy to use steam cleaning power. Remove the cleaner’s detachable handheld unit and you can enjoy efficient steam cleaning on a range of areas such as hobs, sinks, taps, windows, mirrors and more. Vax steam cleaners offer an innovative way for cleaning hard floors in your home, using quick heating technology to deliver heat fast and effectively, with as little as 20 seconds heat up time. 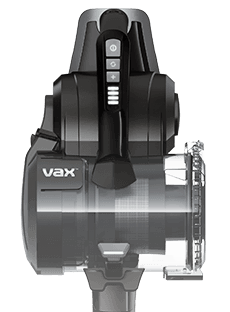 All our Vax Steam Cleaners come with a detachable hand-held unit and additional steam tools, to help clean not only floors, but ovens, grouting and counter tops as well.